Euro-style contemporary on the oceanfront with stunning views! Japanese/Hawaiian style contemporary with breath-taking lagoon and ocean views! 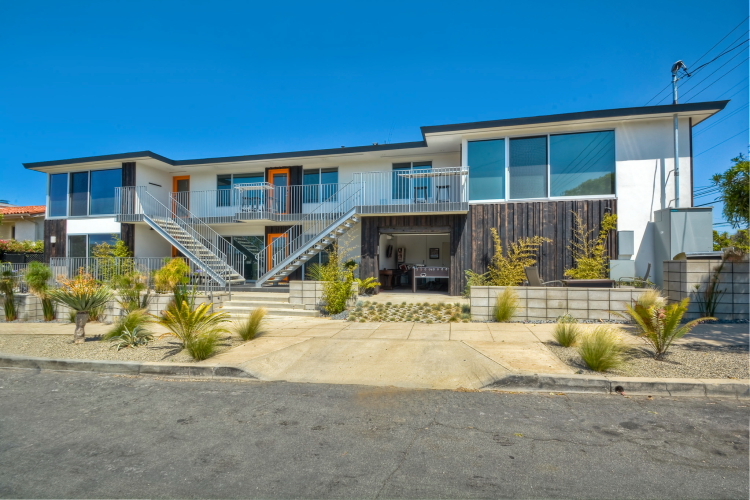 5 Spectacular mid-century modern options just a block from the beach! It started from a rather simple premise – we are locals who love the beach and the Village! We have traveled all over the world and prefer staying in vacation homes and private residences. We thought if we were to create beautifully appointed vacation homes near the beach and the Village and rent them for reasonable rates, others would enjoy them too. After investing our hearts and souls (and a whole lot of capital), we now have three amazing properties in Carlsbad. We welcome you to Vacation in Carlsbad! We hope you find the time to relax and soak up the soft light, the salt air and the sense of ease you find by the sea. You can also surf and Boogie board, bike and run along the Pacific, play golf, kayak and paddle board. The Village offers eclectic shopping opportunities and a wide variety of dining experiences. Legoland or the Flower Fields? Premium Outlets or Chuao Chocolatier Factory Tour? You can make your beach getaway exactly what you want it to be! Each Vacation in Carlsbad property, Seaside, Kai and Swell, has its own unique characteristics and price range, but they all share the same qualities of clean, comfortable furnishings, attention to detail and outstanding amenities. 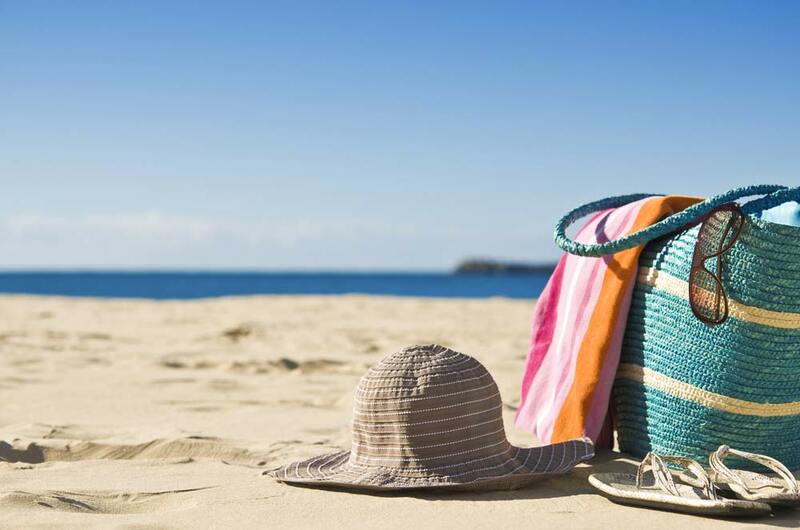 Thank you for considering making us part of your perfect beach getaway! We took a short family get together and stayed here. This place was amazing! The game room kept us very entertained in our “down time” and the patio was amazing. It was so close to the beach we could head down there for sunset and back before it got chilly! There was plenty to keep us entertained and yet enough space for privacy too. This place was very clean, comfortable and convenient. We would definitely recommend it and will be staying there again too! This unit is clean, nicely furnished, and a great value. We needed a place close to our parent’s home where we could host dinners so they wouldn’t have to cook and clean, or have the expense and difficulty of going to a restaurant. The terrace is beautiful, and the fire ring helped warm things up for dinner outside one night. Missy was excellent. Only two things I would mention: all the interior doors are rippled glass. We covered our bedroom door with Christmas wrap : ) . That did the trick! Also, the kitchen would benefit from more basics like measuring spoons and mixing bowls. Other than that, everything was top notch. We’d stay again in a heart beat! Thanks Missy! Rented the full house and loved every moment of our stay. We cooked each day and relexed. My Anut had 70th dinner at the houses and she said it was the best B-day ever. Melissa the realtor was great showing me the property. Will be going back. New Mid Century Modern at the Beach! Wow! Everything was great. Super clean, pictures show exactly what you’ll walk into, new appliances, within walking distance to the beach, comfy bed. My husband enjoyed using the body boards. If we come back to San Diego, we’ll definitely stay here again. This is a very lovely home located right on the water in northern San Diego county. The private beach is perfect so you do not need to worry about finding a spot in the morning to avoid the crowds. We had five adults stay at the residence very comfortably. The kitchen is well stocked with all of the utensils you could need to cook every night if you wanted to. The BBQ is hooked up to a natural gas line so there is no need to worry about running out of propane which has happened to me on numerous vacations in the San Diego area. If cooking is not what you are looking to do the home is located within 5 minutes of the Carlsbad Village where there are plenty of restaurants of all types of food. This is a home I will recommend to friends and family members. I would have no problems staying in this home again if I am in the north county area in the future. You can walk to everything, game room is great. Floor plan makes it easy to hang out with everyone at the same time. The amenities in this rental are outstanding: from the variety of games to the outdoor grills everything has been thought of. The views are beautiful and the patio is perfect for outdoor dining. It’s an easy walk to the beach which is one of the best on the north coast. We used both units and Missy, the rental agent, made sure our every question was answered. She was helpful in every way possible. We had air bed problems and she quickly brought over new ones. This is a teriffic rental. Thanks, Missy! I really don’t want to say to much abut the property at 3495 Garfield because when I go to re-book the Wae Suite this summer or next year it won’t be available The property is excellent an the management make the experience seamless and quick. So if your looking for a place for a family weekend or week then this is the place. New Oceanfront Residence – Truly Spectacular! We just stayed at this property for the second time and it was perfect in every way! The first time it was just my husband and I so we only rented the downstairs apt. This time we went with our grown kids and just had the best time - Our son who lives in the area was getting married so the goal was to have the family together It worked beautifully – spacious, clean, every amenity and need covered. Great to be able to cook our meals and enjoy our meals together without worrying about rushing or driving anywhere. The views are fabulous and we were able to walk along the beach anytime we wanted to as well as going into town. SO much better than a hotel situation. LOVE it! One block from the beach, plenty of parking, fire pit, great appliances, very clean, and walking distance to Carlsbad Village are just some of the great aspects of these cool mid century modern units! Realtor was very easy to coordinate everything with and kindly showed us around the property upon arrival. We just spent over a week in the Dolphin Suite and extended our stay several days as we really loved the place. Tastefully designed and no expense spared in this beautiful apartment. They really paid attention to detail with views from each room, every kind of amenity you could possibly need from two dryers, two washing machines, bicycles, sand toys, high chairs, BBQ, beach towels..the list goes on and on. The piece de resistance was the main living area with large glass doors which could be fully opened onto the patio complete with a firepit and views of the ocean. We were right across from Carlsbad beach with a crosswalk at the side of the property- truly stunning. The fully stocked kitchen was much better than my own with the only negative being the fact that there was no oven..but I can live with that! Especially on my vacation! The managers were a pleasure to deal with and extremely responsive and we will definitely be going back. I’ve stayed at Beach Terrace Inn and Tamarack Beach Resort, but this property is the best. We stayed in the Pelican Suite upstairs. The location of this home is perfect. The views are outstanding. You can walk to the beach or walk to town very easily and conveniently. The unique sliding doors go from open space to private bedrooms. The chairs on the balcony are the perfect spot to watch the sunset. Need to do laundry? There are two washers and dryers downstairs. Parking is ample in the garage. Beach chairs, boogie boards, beach towels…all there for you to borrow. They’ve thought of everything. There’s even a wine fridge in the kitchen! We can’t wait to stay again in this wonderful place. We rented the entire residence for us and four other couples (family) that were visiting us in Southern California from Pennsylvania for our daughter’s wedding in Carlsbad. 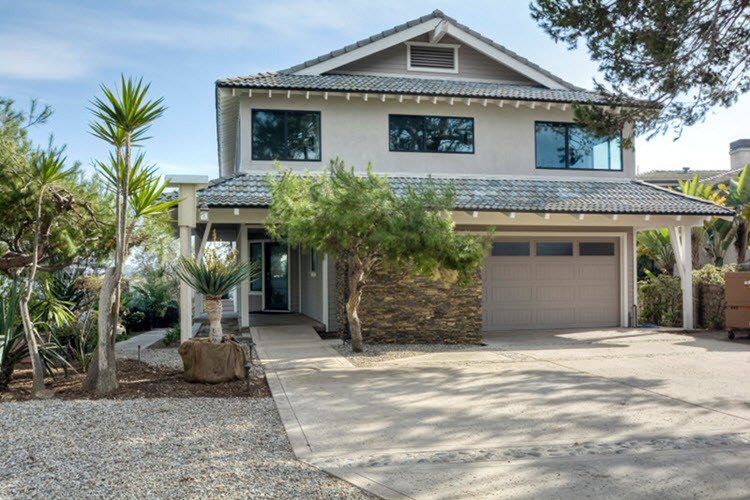 We looked at some properties in Carlsbad ahead of time and this one stood above everyone we looked at. The residence is CLEAN!!! Beds are cozy and comfortable. Each room has its own TV. There is a game room with pinball machines, fooseball, bikes, beach chairs. It’s a quick walk to the beach and downtown Carlsbad. I highly recommend this property for any event. Sans checked us in and went above and beyond showing us everything about the home. She even e-mailed me a list of her favorite restaurants in Carlsbad. Everything in the home is top-notch. Fridge has an ice-maker, cupboards are stocked with most everyday spices and oils. Kitchen is well stocked with utensils and dinnerware. You will not be disappointed. We were the first people to stay in the Sun Suite at Swell Vacation Rental Properties, what an awesome place. We were greeted by Missy who showed us the electronic door entry system which is really awesome because you don’t have to worry about who has the keys or getting locked out. She gave us a nice tour of the place pointing out all of the amenities which even included beach equipment, chairs, boogie boards, etc. Unfortunately we didn’t have time to utilize all that stuff but the fact that it’s provided is fantastic. We stayed in the upstairs unit on the east(?) end of the property, the one furthest from the beach. The view from our unit is still really nice but the real star is the interior – totally high-end all the way around. Killer flat screen TV with all the goodies, brand new appliances throughout the kitchen, nice cookware and utensils – even if you’re a foodie, as we are, you won’t be disappointed! The beds are really comfortable too and they have a wall mounted flat screen TV in each room. This is one of the nicest mini vacation experiences we’ve ever had, top notch throughout! Extremely professional and personable management team that knows how to take care of their customers. We will definitely be staying here again, or at one of their other properties, when heading down into north San Diego county. Recommended for: Everyone, families with young children, romantic getaway, families with teenagers. We were fortunate to be the first people to stay at Carlsbad Kai. 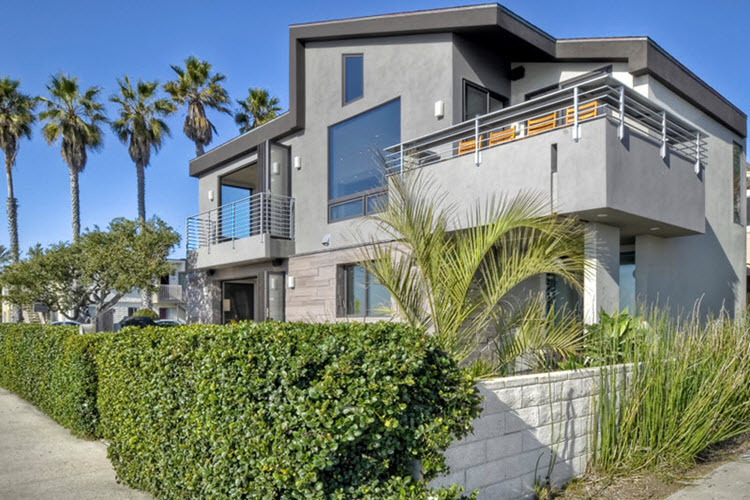 We initially wanted to stay at another property of these owners, Carlsbad at the Beach. It was booked for the week we wanted. Patrick told us about this property and believed the renovation would be complete by our arrival. He sent us photos of the property’s progress a couple of times. When we arrived, Patrick met us and toured the property with us. (It was 4 of us, myself and my husband, our son and daughter-in-law). The photos are very accurate. They have a number of games there for guests’ use: Ms. Pac Man, Foosball, Shuffleboard. We enjoyed playing them. They have two bicycles for guests use along with boogie boards, etc. The kitchen is very nice. We are foodies who like to cook. They even have good knives…a rarity in a vacation rental. We’ve stayed in a lot of vacation rental properties. This is one of the nicest. This is a professionally managed property, without some of the issues we have sometimes faced with mom and pop properties. We wouldn’t hesitate to stay here again. Also, we paid by credit card because that provides some recourse if there is a problem. (They charge 2.5% additional for using a credit card.) After staying at the property and interacting with Patrick, we would have no worries about paying by check the next time. Recommended for: Adventure seekers, families with young children, romantic getaway, age 55+, sightseeing, girls getaway, families with teenagers. We rented both floors for the whole family prior to a son’s wedding in Carlsbad. Most of the out of town guests stayed at the Inn so the location worked perfectly for entertaining. We made it a point to see every sunset while we were there from the 2nd floor balcony. The place was beautiful. I can’t wait to go back. The listing description was exactly as advertised. I would recommend this place to friends and relatives. Recommended for: Sightseeing, age 55+, romantic getaway, tourists without a car. My husband and I rented the Pelican Suite (which is the upstairs suite of the house.) There are unobstructed 180 degree ocean views. It is simply breathtaking! We saw dolphins swimming each morning from the comfort of our living room and even saw a whale spouting offshore. The finishes are all top end and tastefully done. I am not a cook, but the kitchen has high end appliances and is well equipped with nearly every gadget you will need. You can easily walk to town for dinner. Patrick and Missy made the booking and check in process a breeze. Our deposit check was returned to us within three days of our return home. There was a young couple with a toddler downstairs in the Dolphin suite during the majority of our stay, and we did not hear a sound. The place is incredibly well insulated and private. Of note, this home is across the street from the beach and the road is very busy. Please DO NOT let this deter you. This unit is very quiet when closed up for evening, and the views more than make up for the busy street. The pedestrian crossing is right out the front door with stairs leading directly down to the beach. There are surfboards, boogie boards, beach chairs and umbrellas provided. As well as, buckets, frisbees and shovels for any kids. The beds were incredibly comfortable and the linens top notch. I am very picky, and this home more than exceeded our expectations. I hesitate to write such a good review out of fear that the home will not be available when we want to return! We will certainly book this home again. Trust me, you will not be disappointed! I would prefer to keep this place a secret, but ..
OMG! What a beautiful rental. CLEAN! BEAUTIFUL! VIEWS! LOCATION! AMAZING, WELL-FURNISHED KITCHEN! FIREPIT! AND THE MOST COMFORTABLE BEDS EVER EXPERIENCED BY ALL! I was skeptical enough about this rental prior to booking that I had our in-laws drive by to check it out. Nope, it’s for real. We rented both floors for a family of 8 (4 couples, no children), and for a surprise 60th birthday celebration. When we arrived, he couldln’t believe we were staying there. The ocean was practically on the front lawn, and whales … yes, whales … were swimming by. We saw them again on Tuesday right before we left. Miserable weather couldn’t even destroy this stay. The only caution I would want to share, if you are considering this rental, would be that you ARE right on the street/highway, and you do hear the traffic along with the waves. However, I wouldn’t let it stop me. You are also able to watch surfers, whales, bikers, runners, walkers, boats, fishermen, helicopters, sunsets and more … from the sofa. And we turned on a fan at night. We were so thrilled to be able to rent a beach house this year for our family’s vacation and Carlsbad At The Beach surpassed all expectations. They had EVERYTHING at the house that we could’ve possibly needed. A surfboard for my husband’s surf lesson, a highchair for our 6 month old, games for our 4 year old, a hairdryer and wine glasses for me Not to mention, the house lines up with both the crosswalk to cross the street to the beach and the staircase to get down there – ideal when you have two small children! The two parking spots were such a plus as beach parking on a holiday weekend can come at a premium. We were able to walk to the grocery store, multiple restaurants and bars, all within a half mile radius. We stayed in the lower unit the “dolphin suite” and never heard the upstairs neighbors once! The front yard with the firepit and BBQ were perfect for get togethers and sunsets. It had all the creature comforts as home! House had everything we needed. We found Jimbos Natural Grocery store close by where we stocked up on good stuff to eat and drink. The home is on a pretty busy road and stretch of beach for people exercising. Walking across the street is super easy – cars will stop for you every time. We enjoyed sitting on the balcony (Pelican Suite) and people watching but found that it was a bit to noisy to leave the doors open all the time. Home is well insulated so no issues with doors closed. Again, we’ve simply not found a better combination of property, price and location in our 5 years of doing this. Communication with property manager was always prompt, courteous and helpful. Thanks for a great stay! Exhale with Vacation in Carlsbad! Amazing views of the Pacific Ocean! Walk along the world-renowned beaches or into the nearby Village for shopping, dining and nightlife.